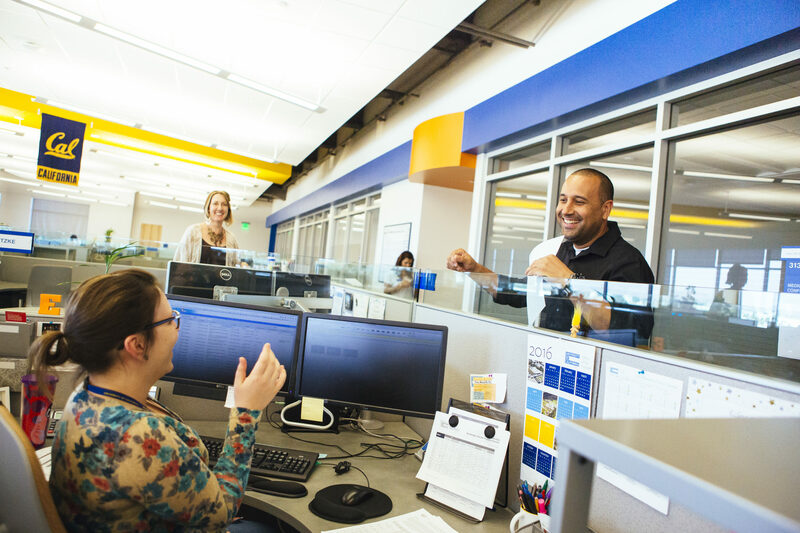 When University of California employees have questions regarding their paychecks, seek clarification about benefits offered at UC, or need help navigating UCPath online, the first inquiry they’ll make handled by the UCPath Center’s Employee Services department. The Employee Services team plays a key role as they are the go-to resource for all UC employees who need assistance with services provided by the UCPath Center. Delivering reliable and accurate customer service to UC employees, managers and locations (as it relates to payroll, benefits and HR transactions). Promoting the use of UCPath online as a self-service and readily available resource for UC employees. Overseeing the customer service management system to ensure accurate, effective and expedient solutions. The UCPath Center has an ever-evolving, dynamic culture, Sanchez explained. While most of the policy has been set by the UC Office of the President, the Employee Services team is continuously designing, evaluating and improving upon the UCPath process. To stay up-to-date on the latest policies and procedures of the University of California, the Employee Services team educates their team members about the UC benefits package, as well as trains them on technologies to keep current with developments on the employee self-service website resource, UCPath online. For instance, the UCPath Center and UC Office of the President have adopted cloud-based solutions over the past five years, including UCPath (Human Capital Management (HCM) system), UCPath online (employee self-service portal), case management, and the phone system for employees that call in to speak with an employee services associate, explained Bill Freire, senior manager, IT. “As more and more cloud based services are available, the UCPath Center will look to leverage those that add value and allow the organization to be more efficient and effective,” Freire added. When Sanchez started at the UCPath Center in 2015, she came onboard as a benefits associate. Two and a half years later, she was promoted to a business analyst position. Looking to join the employee services team? Check out the job opportunities at the UCPath Center.